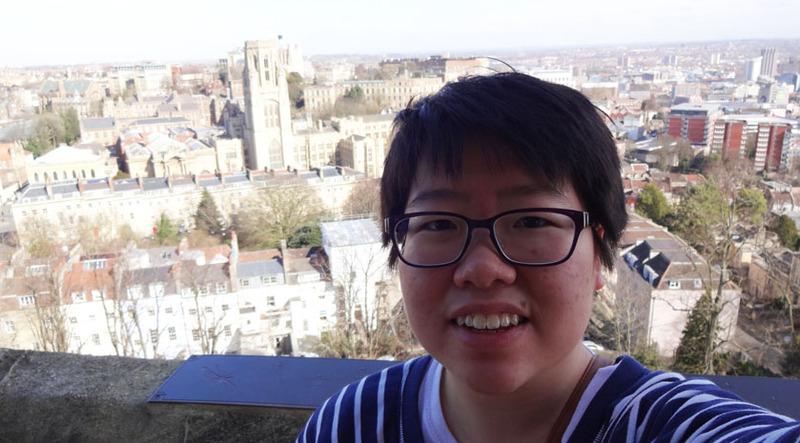 Hye Jin Kim ’16 completed three classes toward her mechanical engineering degree during her Spring 2015 study abroad semester at the University of Bristol in England. In between taking classes in mechanical systems, circuits, and heat transfer, Hye Jin visited such renowned cities as Berlin, Paris, and London. But some of her fondest memories are of exploring Bristol on foot. “During my five months there, I came to love the many hills of the city. I walked the vast, picturesque fields of The Downs and the grand Clifton Suspension Bridge over the Avon Gorge, and climbed to the top of Cabot Tower where the entire city and Bristol Harbour unfolded before my eyes,” Hye Jin said. Her study abroad experience was an “invaluable opportunity to experience another country’s lifestyle firsthand, and to meet diverse people from other parts of the globe and learn about their respective cultures,” Hye Jin added. It exposed her to a different university system and various learning methods. The biggest benefit? By learning to adjust to an unfamiliar environment with limited resources, she became more creative in problem solving, she explained. This spilled over into her classes at Bristol, helping her to see engineering problems from different perspectives. In addition to her usual financial aid, she received a Study Abroad Exchange Scholarship offered through the University of Bristol Exchange Program. When it rained in Bristol, Hye Jin enjoyed going to the City Centre near the harbor to enjoy a pint of apple cider with friends. When it was cold, she and her classmates could catch a double decker bus after lecture to avoid walking home. These, too, will be fond memories for Hye Jin, who hopes that other Hajim School students will have the same opportunity to study abroad -- and come back with their own memories to last a lifetime.